In the first nine months of 2014, 15 million tonnes of roll on/ roll off cargo was handled in the port of Rotterdam, 8% more (+1.1 million tonnes) than in the same period of 2013. This increase is due almost entirely to the growth of the British economy. 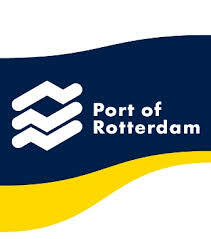 With annual throughput of around 20 million tonnes, Rotterdam is among the top 3 ferry ports in Western Europe. The difference between cargo leaving Rotterdam (8.1 million tonnes) and incoming ro/ro cargo (6.9 million tonnes) is smaller than one would expect from an import-focused economy like the British one. Certainly now that the British pound is also expensive in relation to the euro, therefore putting a brake on exports. Ro/ro transport from Rotterdam to England focuses very much on foodstuffs: a lot of fresh fruit and vegetables, but also preserved products, frozen produce (meat, dairy products, a lot of potato products), onions and drinks (wine, beer, soft drinks). Consumer durables such as furniture and white goods, hygienic paper products (nappies, toilet paper, tissues, etc.) and car parts are also important. With foodstuffs, the port of Rotterdam benefits from the direct proximity of Zeeland’s agriculture and the greenhouse horticulture in the Westland and around Bleiswijk, Barendrecht and Venlo. Dutch products are also combined with European products and with exotic fruit from South America and South Africa in particular. These products ‘land’ at various companies in the port, such as Total Produce, RFW and Opticool for fresh produce in particular, and Kloosterboer, Eurofrigo and Frigocare for frozen products. 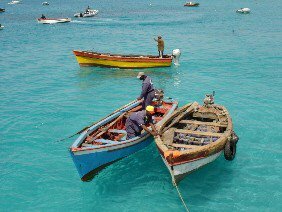 Numerous companies have also set up business in the immediate vicinity of the port. The British firm Davis Worldwide, for example, has offices in Lincolnshire and near Barendrecht. The former handles imports of fruit and vegetables from Spain, France, Italy and Morocco, whilst the Dutch office deals with products from further afield, such as South America, New Zealand and South Africa. On GlobalFruit.com, owner Peter Davis says that the facilities in Rotterdam for fresh produce are unrivalled, “It is faster for us to get the produce from the ship in Rotterdam and then truck it over to England, it is also cost effective“. The British supermarkets’ distribution centres for fresh produce are supplied within small time windows, like those of Albert Heijn, Carrefour or Lidl on the continent. The sailing schedules of the Rotterdam ferry services are therefore extremely tight. In the port of Rotterdam, four large ro/ro shipping lines have their own terminals. In order of (current) throughput: DFDS Seaways (Vlaardingen), Stena Line (Hoek van Holland and Europoort), Cobelfret (Botlek) and P&O North Sea Ferries. In September, Stena Line (Killingholme service) and DFDS Seaways (Immingham service) also put in extra capacity. Cobelfret doubled the capacity of its service to Leixoes in Portugal by deploying an extra ship. P&O North Sea Ferries and Stena Line are also benefiting from the increasing exports from Poland to the UK via combined transport. In collaboration with ERS Railways, there are now five rail services a week between Poznan and the Europoort terminal for departures to England. The shipping companies expect demand for long-distance transport by rail to increase because road haulage is becoming increasingly expensive due to rising environmental costs (Port of Rotterdam).